Hosting a holiday party? Don’t stress; serve easy appetizers like these pizza party ryes. 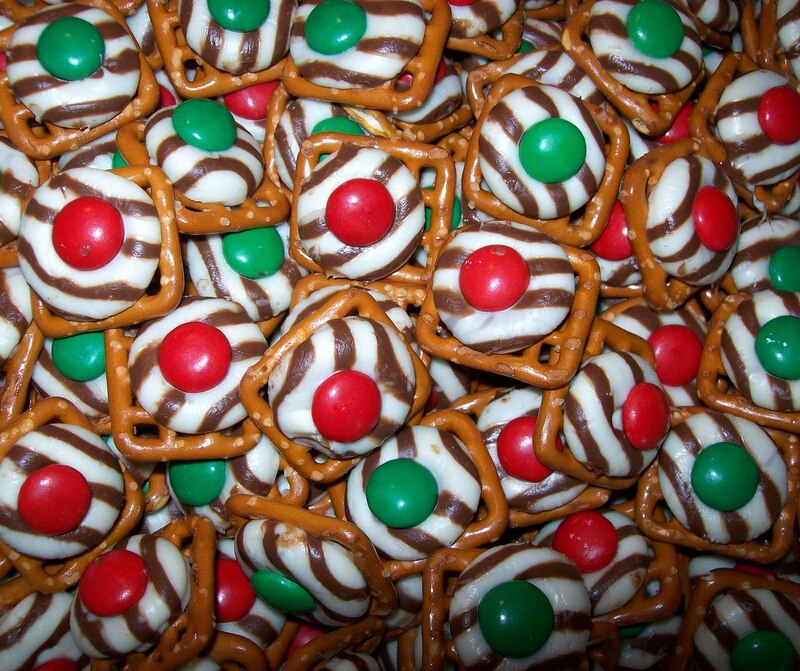 These are a great treat for New Year’s Eve. Maybe I only think that because they have become a tradition in my life. As a kid, I thought I was eating hors d’oeuvres like the grownups. They are simple, tasty, versatile, and can be made ahead and frozen until you need them. Below is my recipe, but please experiment with your favorite toppings and make your own tradition. Brown the sausage in a skillet and drain the grease. Add the cheese to the skillet and then the rest of the ingredients. Heat until you have one beautiful gloppy mess. 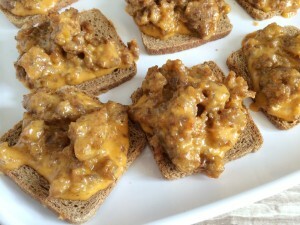 Scoop a couple of spoonfuls of sausage and cheese mixture onto each piece of bread. (Here is where you can freeze them for later if you wish.) Set them on a sheet and place in the freezer until they harden (for about an hour). Then you can stack them up in a freezer bag and save them for later. When you are ready to cook, line them up on a cookie sheet covered with aluminum foil for easy cleanup and bake at 400 degrees for 5-10 minutes. Serve and enjoy.